Have you been thinking about your next move? In this big move, I am talking about at the end of an expiration date. The expiration dates can vary from end of the lease, high school graduation, end of the 2014-2015 school year, etc. If your nearest expiration date for a major move is happening this summer, then you need to join me at my workshop as myself and Crystal Parkinson from Guild Mortgage discuss “Your Next Home”. Are you ready to be crowned a homeowner or start the crowning series to a newer home? 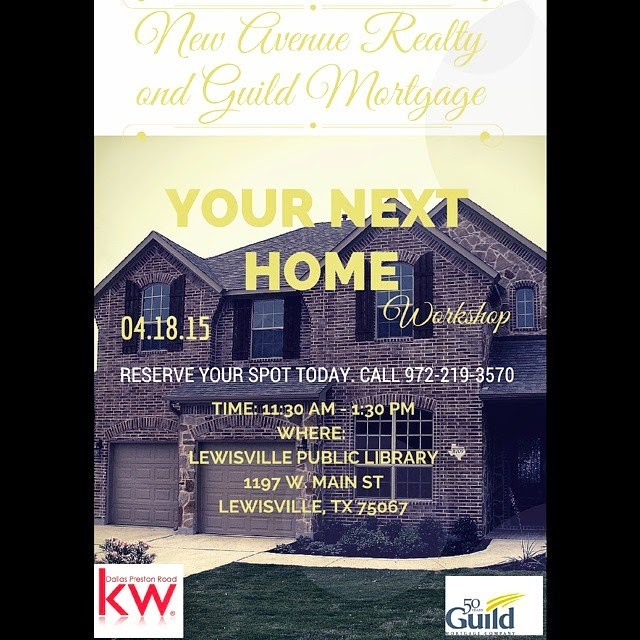 Register today with the Lewisville Library. Contact me at atfowler@NewAvenueRealty.com if you have any questions.